Another point to consider if you are choosing which stapler to purchase and consequently which staples you’ll be using is the costing of these fasteners. Our Type 71 Series are boxed in quantities of 20,000 for all sizes up to 12mm leg length and 10,000 for 14 & 16mm whereas the 80 Series are all boxed in quantities of 10,000. A true refection is to divide the price by the box quantity to get the price per thousand. If the materials you are fixing are very fine, you may wish to consider the 140 Series (Arrow T50). This type has a crown of 10.6mm a leg length 6mm – 12mm and is has a flat gauge wire. This helps the staple to rest on the material and not guillotine or break it. 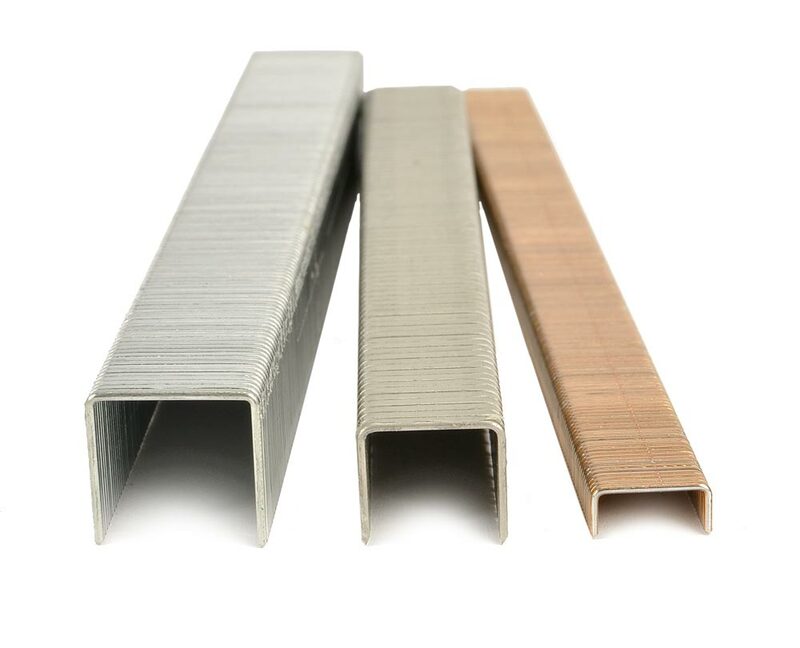 Incidentally all staples are supplied in a Galvanised finish but we do stock some types/sizes in Stainless Steel– for exterior work, boat building etc. Hope this was of some benefit and remember – if in doubt give us a shout! Always glad to help and advise.